We are so incredibly proud of Evolve Fitness member Amber. She has put in the work and she is crushing her goals! Six months ago Amber joined Evolve Fitness and hired Jenna Fischer as her personal trainer for one on one training two times a week. 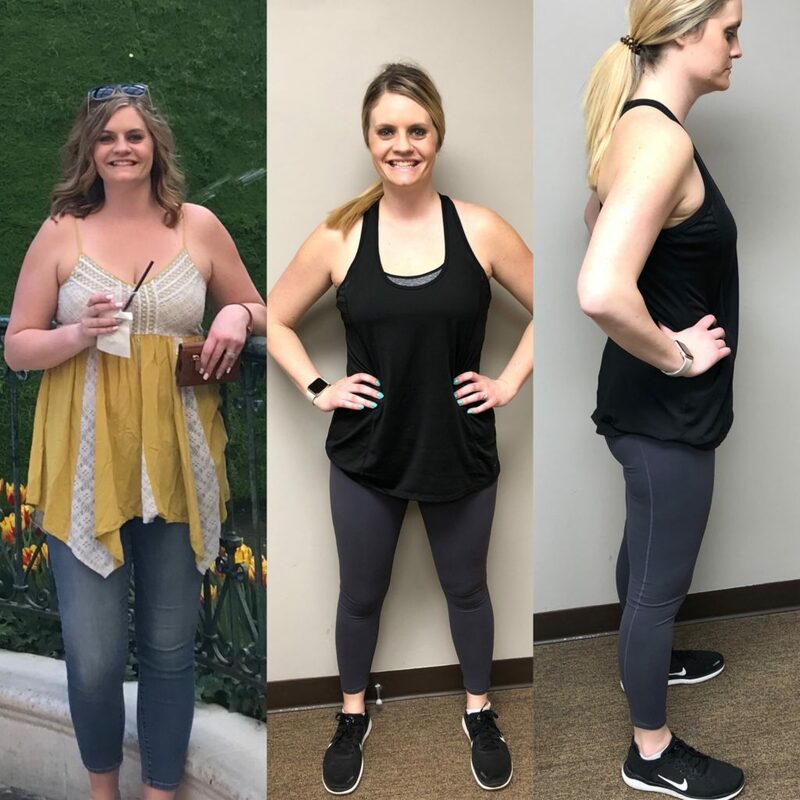 Before joining Evolve Fitness and hiring a trainer Amber said she “hated working out and would quit right away if she didn’t see any changes.” Amber’s beginning goals were to lose weight, gain muscle, and have better endurance. After six months Amber has well exceeded her goals. Amber has lost 30lbs and dropped 5% body fat! Amber’s endurance has also greatly improved from struggling with lunges in the beginning to now being able to run sprint intervals after a full lifting workout. 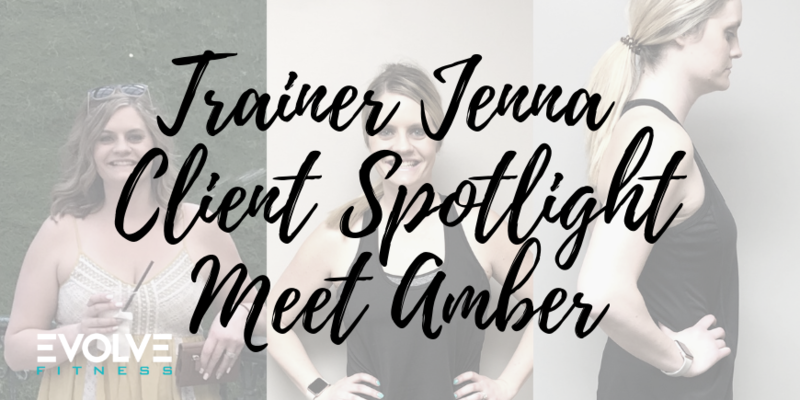 “I’ve been pushing Amber in her training sessions and she constantly surprises me with how hard she can push herself and how far she has come since she started” says her trainer Jenna. Amber reached her goals by working with a trainer two days a week and working out independently one to two times a week. She has also been trying to eat healthier. It hasn’t always been easy. Amber is married with a three year old daughter and she also works full time in a management position for several daycare centers in Sioux Falls and Harrisburg. Time is not always on Amber’s side but she has learned to make herself a priority and squeeze in her workouts when she can. Amber says Jenna helped her reach her goals by “Encouraging me when it got hard, and she kept it fun by always having new workouts”. Amber says it took her a few weeks to notice changes in herself but now six months into her journey she can tell she has a lot more energy and she feels happier. She has also noticed that her asthma has improved. Amber would highly suggest that someone who is serious about reaching their fitness goals should hire a personal trainer. Hiring a trainer made her training sessions more enjoyable and her goals seem less out of reach. Amber says that Jenna has great workouts and is great at motivating you to reach your potential. Amber is going to continue training with Jenna and working out independently. She wants to keep on track and continue to make healthier choices and maintain an active lifestyle.